Mr Cassiel Ato Forson, the Ranking Member on Finance, has expressed disappointment over government’s decision to give huge tax waivers to ExxonMobil in approving the new Petroleum Agreement. Mr Forson was reacting to Parliament’s approval of the Petroleum Agreement between the Government, the Ghana National Petroleum Corporation, and ExxonMobil and Goil Offshore for the Exploration and Production of the Deepwater Cape Three Points Block. Mr Forson expressed worry about the negotiations relating to what he termed as additional oil entitlement, which would not inure to the benefit of the country. He argued that the withholding tax on dividend, which should have been maintained at eight per cent, was rather reduced to zero per cent in violation of the country’s tax laws. He also expressed concern about the withholding tax for sub-contractors and affiliate companies providing services to ExxonMobil, that should be maintained at 15 per cent, but had been reduced to five per cent, while that of local companies were also reduced from 7.5 per cent to five per cent, amounting to a huge revenue loss. 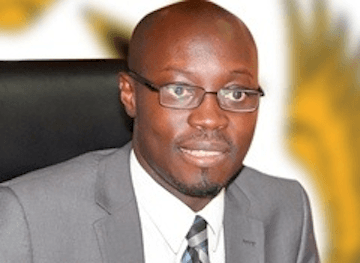 Mr Forson said contrary to the Income Tax Act (Act 896), that states that ExxonMobil could carry forward its losses for five years, it had now been extended to 10 years. He said all the tax waivers granted ExxonMobil in the Agreement had huge revenue implication for the nation. Mr Emmanuel Armah Kofi Buah, the former Minister of Energy, said though it was good to welcome ExxonMobil to the oil sector, the nation must make sure it did not lose out. He said the country must make sure that the Agreement they entered into with ExxonMobil was balanced in terms of the key provisions. Mr Buah said the Agreement ratified by Parliament was in complete violation of the country’s tax laws. Dr Mohammed Amin Anta, the Deputy Minister of Energy, in a reaction to the Minority’s claim, stated that in spite of the exemptions given to the ExxonMobil the net oil that Ghana would get is up to 84 per cent, which is the highest so far in the history of the country. He explained that the last net oil the country earned under the National Democratic Congress administration was 74 per cent. He said of the 13 oil companies that the NDC Government signed on none of them was performing, because they could not raise the US$890 million they were required for their operations. “We are looking at companies that are competent, and with ExxonMobil you cannot contest their competency”. Dr Anta argued that it was very simplistic for the Minority to compare the previous petroleum agreements, which were shallow oil block, to the current ExxonMobil that was ultra-deep water block. He explained that all the oil companies that had come to Ghana in terms of their seismic acquisition average were about 1,000 square km but that of Exxon was 2,200 km square. He said for the first time, technology transfer and annual training contribution were the highest, amounting to seven million dollars and two million dollars annually, respectively. “So look at the exemption we are giving but also look at what we are getting from Exxon, which we have not gotten from any other company in Ghana” he said.